If you’re in the Woodstock area and looking to embrace the hippie history of the Catskill Mountains, the World’s Largest Kaleidoscope in Mount Tremper is a must-visit. It’s also a good place to know about if you’re in the Catskills with kids—it’s a great place to bide the time on a rainy afternoon and got a stamp of approval from both my 7-year-old and my 4-year-old. The 56-foot kaliedoscope used to have a groovier look in the ‘90s, before it was taken over by the Emerson Resort & Spa. Even in its modern-day form, it was still adequately groovy for my kids—especially the little one, who refuses to cut her hair and wears nothing by tie-dye and tutus. Throughout the day, there’s a kaleidoscope show that’s free for kids aged 11 and under. It costs $5 for everybody else. Guest are invited to lie on the ground or lean against the wall to watch the magic happen up in the ceiling of the silo. I’m gonna go ahead and guess 10-15 minutes. The moving images are bright and colorful enough that you don’t really have to worry about kids who are afraid of the dark. After the show, you can check out a room of trippy kaleidoscope exhibits, like the mirrored installation pictured below. 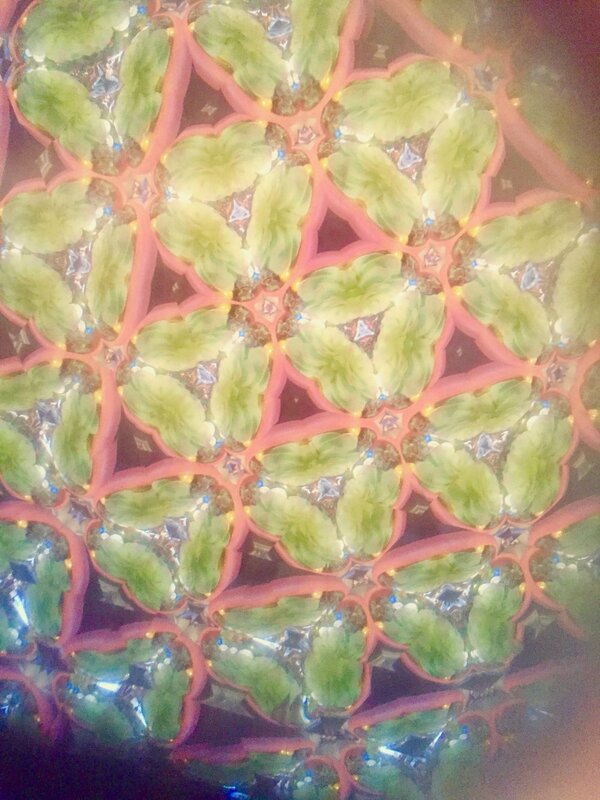 You can also stick your head in one end of a large kaleidoscope to multiply (fractify?) your face for your friends on the other side. Instagrammable opportunities abound. It’s like a little hands-on kaleidoscope museum in a larger kaleidoscope gift shop. 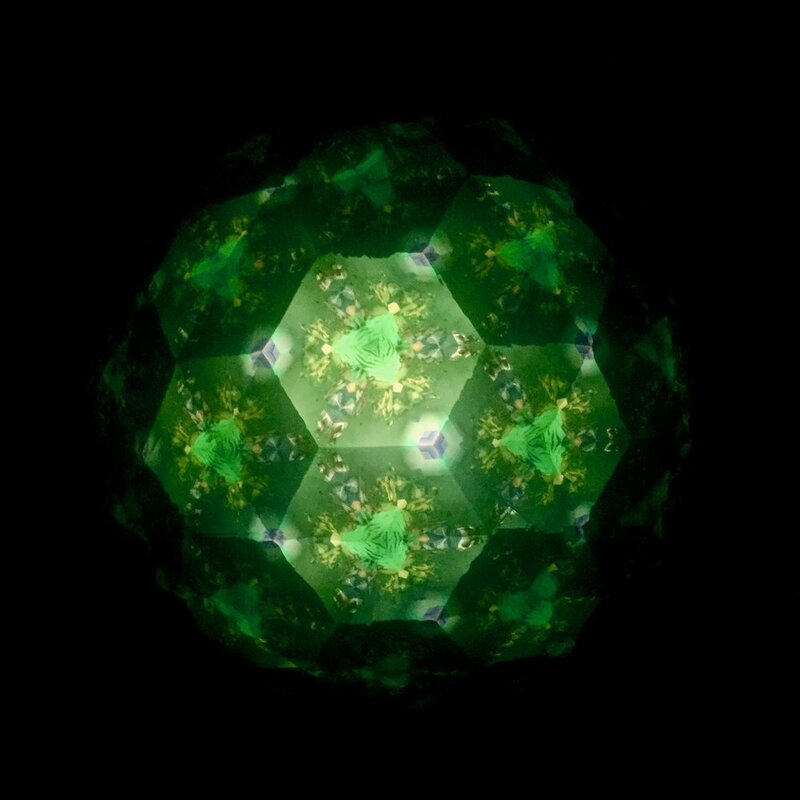 They’ve got some very fancy and expensive kaleidoscopes, kaleidoscope kits for kids, and basically, more kaleidoscopic merch than you ever dreamed existed. Worth noting: Though the kaleidoscope show is free for kids, the Emerson Resort has a very large amount of shopping space, almost like a mini-mall of gift shops. If you’re visiting with small children, be warned that there’s a pretty well-stocked toy area. This is either good news or bad news, depending on how much you’re in need of some new stuffed animals. Also, it’s worth keeping in mind: The sheer grooviness of this experience may inspire your travel companion to start playing the Phish station in the car for the rest of the trip. This, too, can be taken as either good or bad news, depending on how deeply you like to jam. The World’s Largest Kaleidoscope is located in the Emerson Resort & Spa at 5340 Route 28 Mount Tremper, NY; (845) 688-2828. Open Sunday through Friday 9:00 a.m. – 5:00 p.m. and Saturdays 9:00 a.m. – 6:00 p.m.